Tucker book launch with Senator Henry L. Marsh. who wrote the preface and Taylor Sutton, who wrote a poem honoring Samuel Tucker and Nancy. 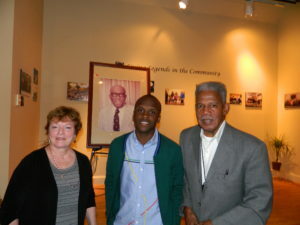 Alexandria Black History Museum, September 2013.Tucker book launch with Senator Henry L. Marsh. who wrote the preface and Taylor Sutton, who wrote a poem honoring Samuel Tucker and Nancy. Alexandria Black History Museum, September 2013. Rachelle Chambers and Nancy Terrell invited me to join their session where they explained how they used Tucker’s biography at Davis Middle School. 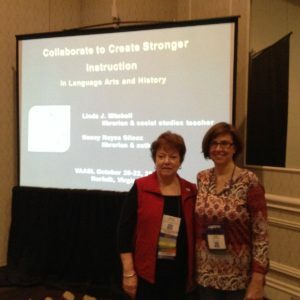 Virginia Association of School Librarians Annual Conference, October 2016, Norfolk, VA.
Linda Mitchell and I shared how teachers and librarians at Stonewall Middle School collaborated to strengthen teaching and learning. 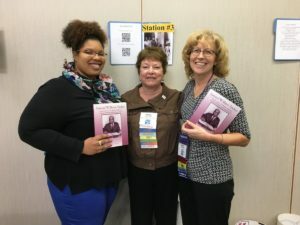 VaASL Conference October 2016.